Create high-style spaces with children in mind. A colourful 5,000 sq. 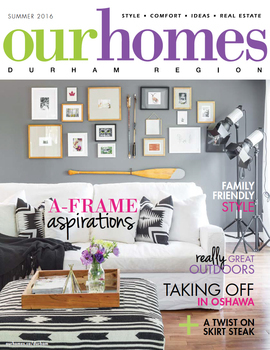 ft. Oshawa stunner is a perfect fit for a jet-setting family. Get into the spirit of cottage life with Luke’s for Home in Port Perry. Lake Scugog stunner brings together work and play. Personalize your home from the ground up with this creative quartet.